In a previous article, I explained how a Canadian DMO is bringing a Silicon Valley approach to tourism marketing. RTO4, a regional organization in Ontario, has established a development process that aims to make its destinations vibrant through co-investment with its stakeholders. One particular aspect of this co-investment relates to an important part of that process: destination animation. Animation in this sense means for the destination — its businesses and residents — to create and enhance visitor experiences that align with the destination's DNA, which is identified and defined earlier in the aforementioned development process. Essentially, bring the destination to life. "It's about unlocking civic alignment and then unlocking a civic investment that's shared — all of it on a single theme," RTO4 CEO David Peacock said. In order to encourage stakeholders to create some of these animated experiences, RTO4 initiated the Destination Animation Fund, which it uses to "offer business operators matching funds to create new or enhanced tourism offerings that align with the destination's agreed-upon core DNA, and activate visitors to share their experiences through social networks, enabling the partners to reach a broad and motivated audience of travelers." In 2016, the fund's first year, it provided $30,000 to 10 projects in the town of Stratford. RTO4 said that translated to more than $103,000 in direct investment in new cultural experiences, and visitors shared their experiences socially to an audience of more than 190,000. "We're seeing numerous benefits to this approach, other than just straight marketing," Peacock said. "We tap into the creativity and passion of local tourism operators to develop new ventures for their communities, and we also create stronger local networks of tourism professionals who are united around the idea of enhancing the overall visitor experience." 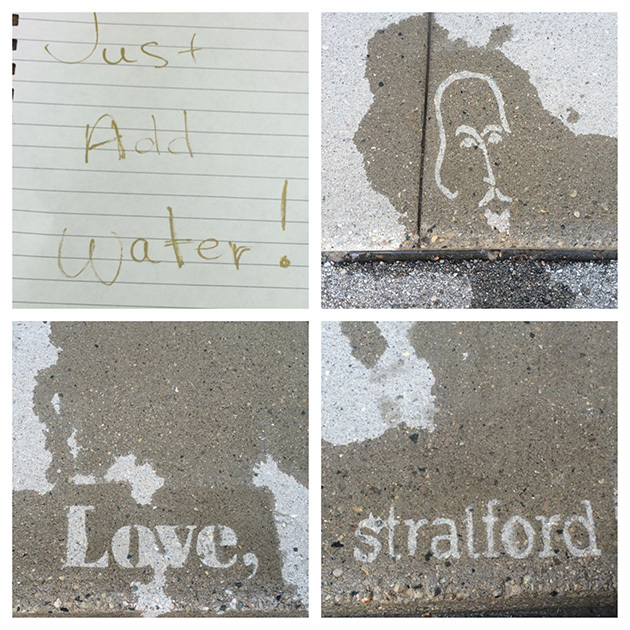 One example is known as #RainyDayShakespeare, in which hidden quotes from Shakespeare magically appeared on sidewalks and walls when it rained, rewarding visitors with a charming reason to explore the community when they might otherwise stay indoors. #RainyDayShakespeare was born from the idea that Stratford is renowned internationally as a destination for Shakespeare lovers. It hosts the largest Shakespeare festival outside of England. Thus, Shakespeare is the destination's DNA. "The core product is fabulous," Peacock said. "So how do we get the rest of the town to animate and create an experience around that?" Other examples included a Stratford Writers Festival, bringing together writers and readers to interact, discuss and share through author readings, panel discussions, Q&As, book signings and writers workshops to Stratford’s cultural downtown core. 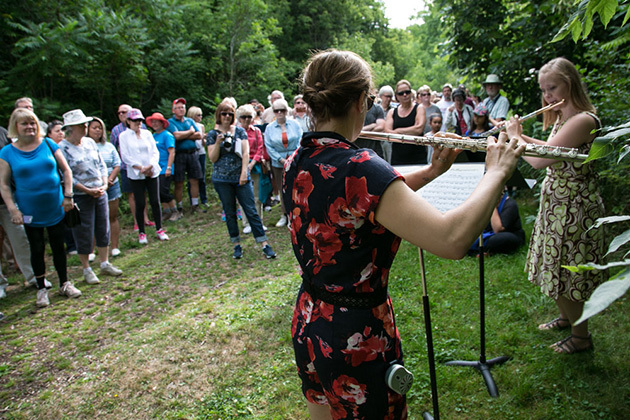 There was also Bach Walks — guided strolls through a local natural area serenaded by performances from the Canadian flute ensemble, Charm of Finches. "The money was better spent allowing operators to become purveyors and sharers of the story, rather than direct advertising just to tell the story," Peacock said. Funded projects are typically small in scale, but are designed to get visitors talking, Peacock added. They also aim to provide visitors with new opportunities to stay longer and interact more with destinations. Applications for funds in the first year numbered 17, requesting $60,000 where only $30,000 was available. After the inaugural success, applications for 2017 jumped to 26 asking for almost $120,000. 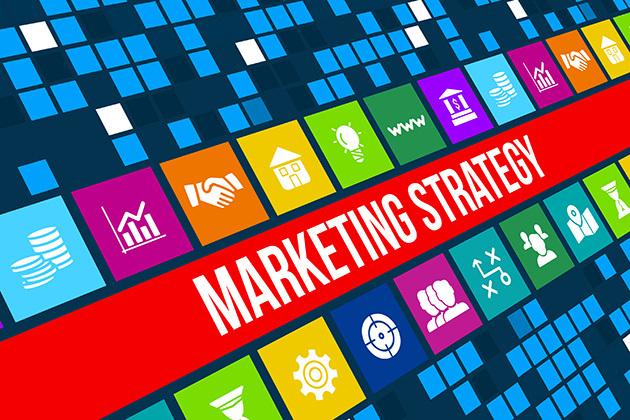 Applicants must bring an idea to table, fund the bulk of it, and show its primary objective is to create highly sharable content to the modern world — to have its own "marketing inertia." "What happens in all those cases is that the visitor goes away and tells the story," Peacock said. "That's the kind of word-of-mouth you need in tourism." The fund's success has led to rollout in other destinations under RTO4's umbrella, and the organization gets inquiries from cities far and wide seeking advice on how to unlock such potential. "It's much more than only a marketing push," Peacock said. "It's a catalyst for tourism development. It's not just a tool for creating experience in your destination, it's a tool that, in doing so, creates incredible alignment that is sustainable." Shawn Smajstrla has spent more than seven years at MultiView in various editorial roles, developing and producing content and communications for association partners across multiple specialties including business, marketing, leadership and travel. He has also served as the editor of a sports magazine and as a journalist for the Fort Worth Star-Telegram. A graduate of Louisiana State University, Shawn has extensive experience in print, broadcast and digital media and is one of those people who thinks Radiohead is the best band ever.